Are you feeling low today? Are you tired and completely spent? Are you completely broken down because of a long hectic-scheduled day? Unable to find some stuff to watch on television? Not in a mood to listen to songs? Then you should probably consider the following movies which will make your day and will make you cheerful and buoyant. So, what are you waiting for? Download them, watch them, laugh out loud whilst watching them and what next? Go to bed and have a decent sleep. This is the hilarious movie I’ve watched so far. With Bradley Cooper, Ed Helms, Zach Galifianakis starring in this film, this movie is full of sarcasm, hilarious punches and utter stupidity. This movie revolves around 4 friends who go to Las Vegas for a bachelor party but things go wrong. On the very second day of their vacation to Las Vegas, they forget everything they did together the last night plus their fourth friend, Doug, goes missing. That’s all I am going to tell you for now. The plot of the movie is absolutely amazing and that’s exactly what makes it to be the first on my list. This movie revolves around the Dictator of Wadiya who is known to do the most stupid things one can’t even imagine of, making him the most dangerous man in the world. Therefore, he is told by the United Nations to come to America to address the world about his future plans. But before that could happen, he is kidnapped by his uncle. His uncle wants the dictatorship rule in Wadiya to come to an end and democracy to come into effect, for his personal benefits. 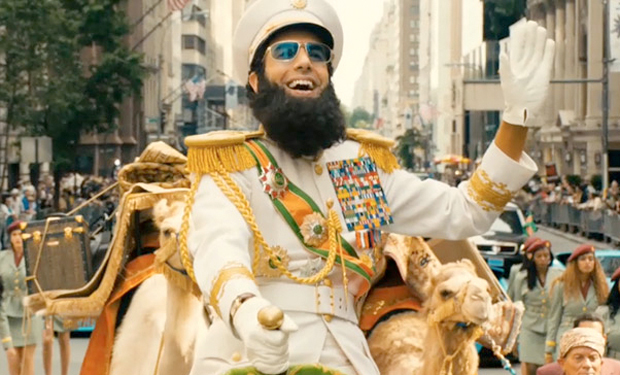 The movie is all about Admiral General Aladeen’s efforts to stop Wadiya from becoming a democratic country. With Jim Carrey, Cameron Diaz starring in this movie, this movie revolves around a guy named Stanley, an easy-going bank employee who becomes a crazy green-skinned being who can bend reality after putting on a wooden mask, inhabited by Loki, the God of mischief. Stanley is a shy young man who works in a bank. One evening, he discovers a mask by the sea which transforms him into a maniac superhero. This movie is fun to watch. I really hope so that the above-mentioned movies cheer you up and make your tiresome day into a full-fledged amazing one! The Commuter Movie Review: It Has All The Ingredients Which Viewers Expect!